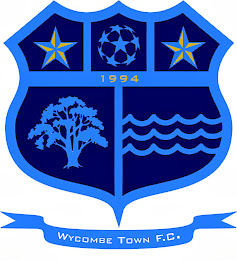 Wycombe Town FC: THE SEASON STARTS!!! Wycombe Town Reserves kicked off their season with a game against league newcomers Jager Athletic FC. In only their second game together this season 'Town' played some good football but in an even half the young and fit Jager team went 1-0 up just before the break. Second half and Jagers fitness began to tell and they got another goal from the penalty spot. Town bounced back with a goal from Wayne 'Rooney' Norris but Jager scored another by lobbing the keeper to make it 3-1. Town wernt finished and got one back through a well executed penalty from Joe Corley making the final score 3-2.